The perfect Conference venue in the Valence-d’Agen area. Château de Lastours is the perfect location for all your business meetings in the centre of South-West France, located between Bordeaux and Toulouse. Our meeting room, called “Salle Queen Victoria”, is a former Orangerie of Château de Lastours and has a capacity for 150 – 200 people. During your meeting, you can also benefit from extras such as a video projector, flip-over, white-board, etc. 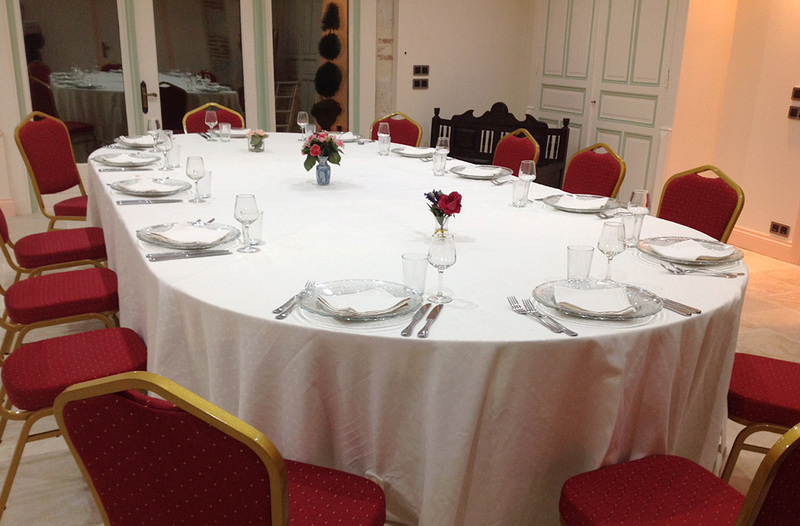 Our meeting room is equipped with a kitchen, private toilets and has a terrace. A large free parking area is available near the meeting room.